The Institute for Maritime Technology headquarters in Simons Town. Armscor’s Institute of Maritime Technology (IMT) has made a significant breakthrough in the field of maritime safety and communications by installing the world’s first VDES base station, which allows significantly faster data transfers to and from ships, improving safety and maritime awareness. VDES stands for VHF Data Exchange System and is based on the Automatic Identification System (AIS) currently used to track vessels over 300 tons, but is expected to replace or supplement AIS in the future. The IMT notes that in congested shipping areas AIS radio channels are getting overloaded, thus disrupting the original safety objectives. This necessitated the development of VDES, the next generation of AIS that greatly increases the available data bandwidth for maritime use, through the addition of new digital maritime channels for Application Specific Messages (ASM) and high-speed data applications. In future VDES will also include two-way satellite communication to enable worldwide operation. VDES is seen as an effective and efficient use of the radio spectrum, building on the capabilities of AIS and addressing the requirements for additional data. VDES messages are also more likely to get through than AIS messages. VDES is on its way to becoming an International Telecommunication Union (ITU) standard supported by maritime associations. Testing of VDES systems is underway in countries around the world, including Norway, the United Kingdom and Australia. As part of its contribution to VDES, the Institute for Maritime Technology on 10 January this year commissioned the world’s first VDES base station at its offices in Simons Town. This allows testing in a real-world environment, the IMT said. This effort forms part of the Maritime domain Awareness (MDA) technology work supporting the South African Navy. IMT established the VDES base station using the VDES1000 module provided exclusively by Britain’s CML Microcircuits. The VDES1000 module integrates seven VHF receivers and one VHF transmitter. The VDES equipment can be used to test data transfers from ship to shore, or shore to ship at rates that are 3 000 times higher than what is possible with Automatic Identification System (AIS). The IMT said the installation has already been used to transfer large amounts of data in False Bay, Cape Town, which is not possible with AIS. VDES will unlock functions and applications that have not been feasible with AIS and are seen as a crucial element to enhance the capabilities South Africa’s maritime related government departments. South Africa has a long and extensive maritime history, the IMT said. South Africa, along with Sweden, played an important role in the technical development of AIS during the 1990s and its subsequent implementation: the 2002 International Maritime Organisation (IMO) SOLAS (The International Convention for the Safety of Life at Sea) agreement mandates that vessels over 300 gross tonnage carry AIS transceivers, primarily to improve safety at sea. 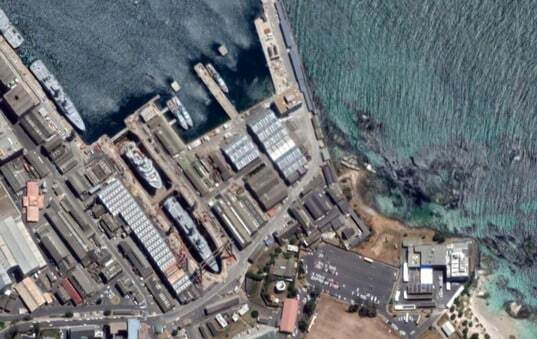 The Institute for Maritime Technology was established in 1975 and is a division of Armscor. It specialises in techno-military research and development, as well as specialised products and services. IMT provides services to the SANDF (primarily to the SA Navy), government departments, defence industry, the broader maritime community and other clients as part of its commercial initiatives.